Let’s Begin your own Job site with our Naukri Script. It is coded using PHP and MySQL database. Monster Script is a complete script for those who need to run an expert Job Board site with all the highlights. This Jobsite Clone Script is designed and developed for best customer experience, so your job site will get recurring users. This Job Portal Script is a progressive PHP script, let you to make Job portal, with more highlights. With the professionally created Career Builder Script you can have options to post Jobs and utilization with new Features. 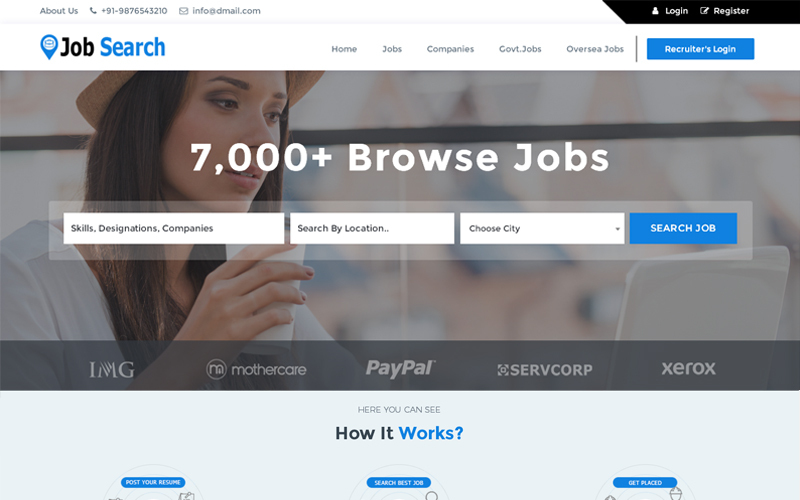 Naukri Clone Script developed based on many aspects to get faster search result on job search module with its Ajax and advanced search .The entire Structure is sensible through simple to utilize Admin Panel so handling this job portal as a admin it’s not to give any complication basic internet surfing skill will do it better in here. We have developed several applications for recruitment industry based on our experience; we took some additional features from naukri.com and monster.com for our Shine Clone Script and Monster Clone Script. We have more than 300 clients over the globe. We will offer 1 year support, 6 months update, and brand free and free installation for our monster clone script. Easy to install and definitely does the job. Grateful! This is a good script with helpful team. This script has good response and it is profitable too. . Here is the best ever script to meet all your expectations, because I was satisfied a lot by this script. . I request you all to go with this script. It was nice working with this script. I was able to make good revenue with this script and it’s beneficial too. I would like to prefer every one and my friends to purchase his script. I appreciate the developers who had developed this script made it very easy to use.